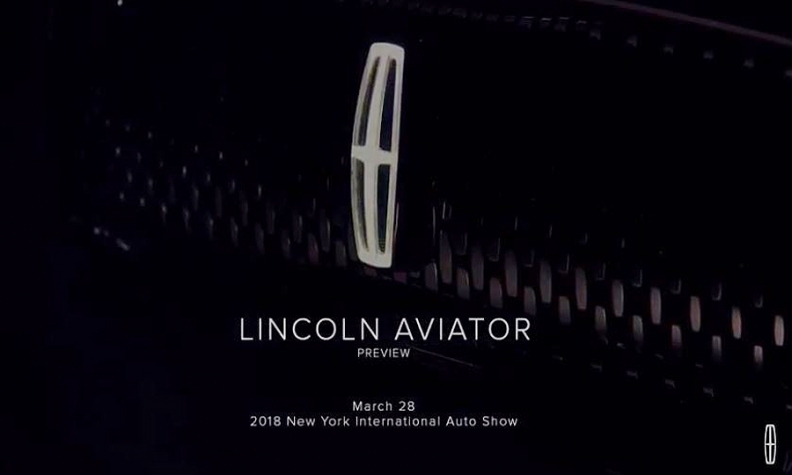 DETROIT -- Lincoln will debut its crossover with the resurrected Aviator name this month at the New York auto show, and it will be based off the redesigned Ford Explorer large crossover, expected in 2019, Ford Motor Co. executives confirmed Thursday. While announcing a new-product blitz that will give the company the freshest portfolio among full-line automakers by 2020, Jim Farley, Ford's president of global markets, said Lincoln would introduce the Aviator and an unnamed SUV by 2020. It will add four more SUVs post-2020. The luxury brand teased the New York reveal with a short video on social media. Only the Aviator's side name badge and Lincoln's signature mesh grille were visible. The Aviator will come with an electrified powertrain option. On Thursday, Ford said that every new utility it introduces or redesigns moving forward will come with a hybrid variant -- either a regular hybrid, plug-in hybrid or both.